It still hasn't hit me that Christmas is only two weeks away! I haven't bought a single present yet and there is hardly any evidence of the silly season in our home. I only took out a couple of Finnish Christmas decorations because they happened to be in a box I was emptying after we moved in. There will be no tree and certainly no lights wrapped around the balcony rail. I'm not anti-Christmas, mind you, it just happens that in my mind, Summer and Christmas don't mix so well. In an attempt to bring in some Christmas spirit, however, I thought I'd share at least a couple of traditional Finnish Christmas recipes, with a twist, here on the blog. The first one, swede casserole, is one of my all time favourites, but of course I've tweaked the recipe a little bit. This dish would be served with a few other casseroles at every Finnish Christmas table as a side dish to ham, fish or other meats. In our household it's a meal on its own, served perhaps with a fresh salad on the side. 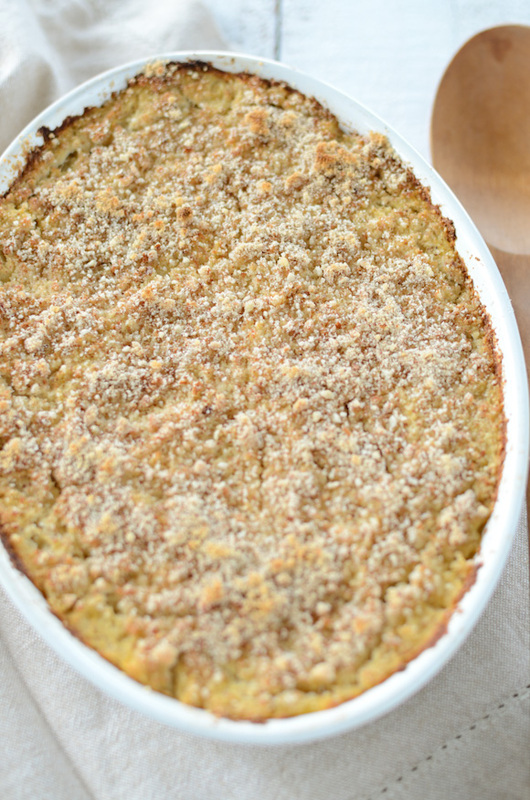 To make this dairy-free, I've used almond milk instead of cream and replaced the bread crumbs with almond meal in the casserole and on top. I've used traditional spices like white pepper, nutmeg and ginger, but I couldn't help adding just a touch of that delicious ground licorice in the mix as well. Turns out it goes so well with the sweet swede. 1. Place the swedes in a large casserole and top with water. Bring the water to boil and let it simmer until the swedes are completely cooked tender. Drain (but save the water to make vegetable stock!) and set aside to cool. 3. Mash the swedes and add in all other ingredients. Scoop the mixture into a lightly oiled oven dish and top with the extra almond meal. 4. Bake for 30 minutes or until the casserole feels firm to touch and is browned on the edges. Serve as a vegetarian dish on its own or as a side dish. This is one of my favorites on the Christmas table. I like your version of it too! Have a nice third Advent! Yum, definitely one of my favourites with porkkanalaatikko and makaroonilaatikko! I am on a mission to practice all the dishes my mother and grandmother usually make at Christmas time and host Christmas Eve dinner at my house next year...might have to start practicing! What are Swedes!? I´m of to google;) I hope you´ll find some Christmas spirit but I know.. it´s hard right under the glowing sun! Wow, I love that casserole! It has such unusual flavors. A delightful use of those root veggies. Don't remind me re: Christmas. I still have presents to buy and wrap as well! Yikes! What an ineresting dish! Perfect side for Christmas day :) love it! Love the comments as much as the wonderful recipe! Don't quite know how easy it will be to find this delicious root vegetable in the Australian summer for obvious reasons? Would like to try the recipe tho', so shall try!!! We will 100% be having this swede casserole at our dinner :) It'll be at Panu's mums so a big traditional Finnish meal. Can't wait! 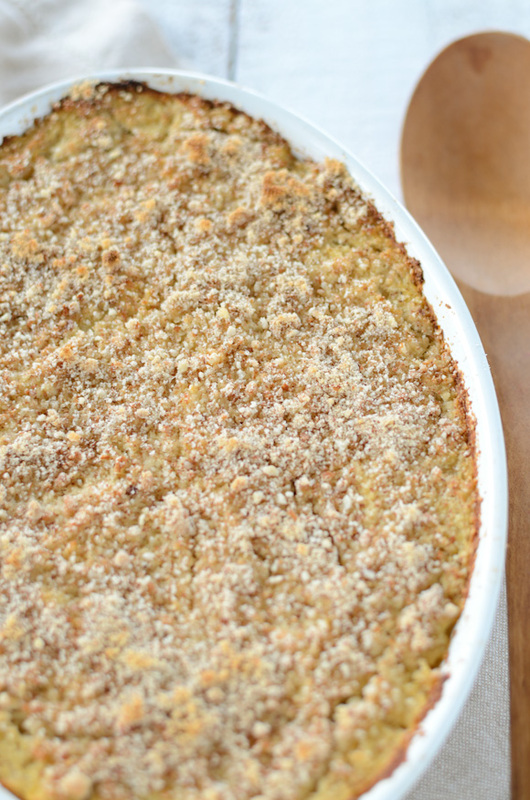 Love your casserole! Thanks a lot for sharing. oh my this sounds so tasty! love your addition of almond milk!! Haven't tried the original version but I love the twist! my mum is finnish and i too live in nsw...i went to finland in august and went berry picking and mushroom picking in the forest. 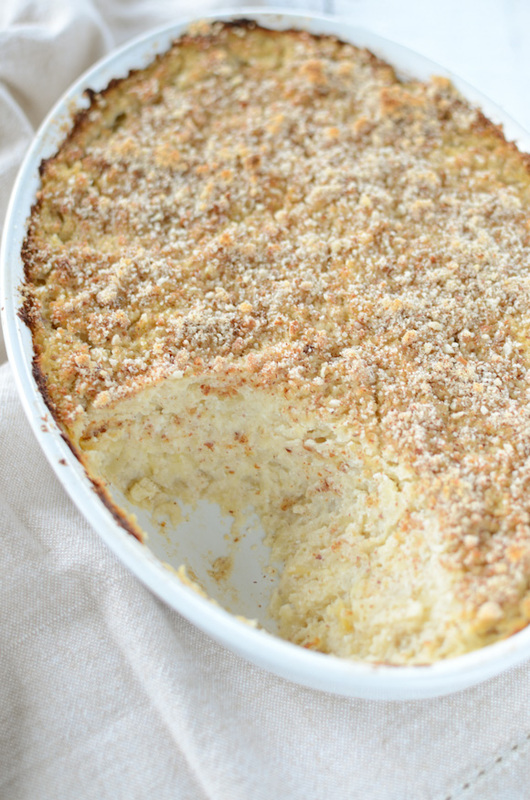 i love swede casserole...have to try it with your variations :) looks yummy as ever.